Newly built in the spring of 2001, this charming home offers wonderful views of Duck Cove and the open ocean. 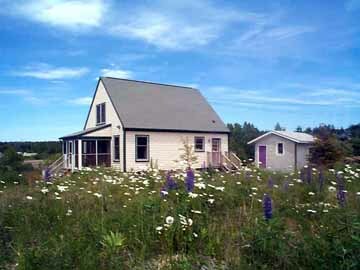 With its rural setting and privacy, you?re sure to be able to relax and soak up all that Maine offers. 3Beds/3Baths/Sleeps 6-8 $1,200-$1,800 wkly. June-Oct.